For 5 years of video production I’ve got my list of rules. This list allows me to secure my projects from losses and to save time on the following recovery. If I knew all these basic must-know tips in the beginning of my career, I could save so much time for myself! Now I want to share my experience with you and to protect you from my mistakes. Imagine this – deep night, you are working on a big project, struggling with hundreds of layers, software is dragging. Every animated second means minutes of work. Boom! And here comes a critical error, hdd crash or whatever. Hours of work are gone! Not a good situation! But the most of cases are predictable, so if you know about this – you can save yourself before. Here they are. If you are working with images, and get such frame where the image is rotated (see the picture, it has no end in the lower bottom angle). There is a high chance that your project will be crashed during the rendering. Check out the picture: such image deformation creates a huge space for a program to calculate. Why should you make such task for a program? Just turn your camera a bit to avoid eternal space for rendering and it will be all right. Never use spacebar for the names of your .AEP projects. Name it like “Project1” for example, or “project_1” but never “Project 1”. Why? Because if you have massive projects (and sometimes even small), AE software may get errors with reading spacebar in the names and you will get errors on rendering. When I had to render one lyric video somewhere 4 years ago, AE program was crashing every time. It was hard for me to find the problem, but after hours of searching on google I found that it was happening because of a space bar in the project name. In lyric video production, mostly, you’ll work with 3-5 minutes songs. If you have all your animations in one composition – it’s not comfortable to work with hundreds of layers. So, here is a simple solution: just divide your big project into smaller compositions (15-30 seconds for example) and it will be much easier for you to control the look and to add animated layers there. It’s very important to keep your workplace accurate. Avoid the mess. Keep simple structure and group all the files within the folders. Firstly, when you have to change something or replace any file you will spend less time on searching for them inside the project. And secondly, if your project is huge it will be even impossible to find anything when your files aren’t named properly. Video production is a very resource requiring process. And when you are working on the video, it may be draggy of course. To get the best speed during the production – I suggest you to use low quality previews (quality 1/4 for example) and to use draft quality for layers (not always of course, only when AE is slowed down too much). It will make your work much faster, and when you’ll get your video ready for final rendering, just turn it off and render in high quality. Some producers are playing with the fire when they don’t use Auto-Saving. Remember that project crash cases aren’t seldom. And you’ll definitely get it someday. 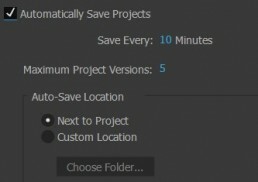 To avoid losing your project at all, I suggest just to turn on Auto-Saving in after effects settings. That will let you keep different versions of your project. And when you’ll need to restore, just choose an older version. Just go to Edit > Purge > All Memory & Disk Cache. And clean AE cache everytime you feel your AE is going slower than usual. After years of using After Effects for lyric video production I found that it’s better to keep all the used files in one folder. Because if you will use a lot of files, from different folders and different hard drives – it may cause program crashes too. So, just try to keep everything in one folder. It’s actual for producers from non-English speaking countries, don’t use your native language for project files, only English. Other languages may cause software glitches and it may ruin your project too. Some fonts or text settings may load your system too much. It’s not very obvious to find, but it’s important to check out. In other case your workspace will be paralyzed. 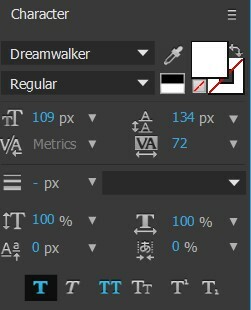 For example, try to use very popular font “Dreamwalker” on your project, and try to make it Bold. You’ll be surprised how everything is slowed down. Remember about this and always check your fonts right in the beginning. No matter how powerful your machine is. It’s always not enough for video production. So, just try to turn off all other unused programs, so After Effects had more of free RAM memory for it’s processes. Motion blur is a cool effect for final rendering. But if motion blur is turned on, it will slow down you. Just turn it off when you are working. 12 Must-Know Tips For Your Work In After Effects. Tips for lyric video makers and all After Effects video producers. Save your time!